We do not have an Enrolled Agent- Client Relationship. We could change that if you so wish. Contact Details Below. We cannot provide comprehensive advice on this blog, however well-researched or well-written. This blog is not meant to offer legal advice. You need to consult a tax professional for questions regarding your unique situations. 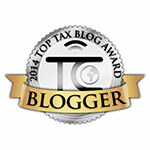 This blog is not affiliated with my Enrolled Agent Practice, MN Tax and Business Services PLLC. I am not responsible for any comments on this blog except my own. So I request you to be civil & courteous. You can then expect the same treatment from me. Or else I reserve the right to delete your comment/s. In order to comply with requirements imposed by the IRS, we must inform you that any U.S. federal tax advice contained in this blog is not intended or written to be used, and cannot be used, for the purpose of (i) avoiding penalties under the Internal Revenue Code or (ii) promoting, marketing or recommending to another party any transaction or matter that is contained in this blog. Missing Your W2's? What to do next!